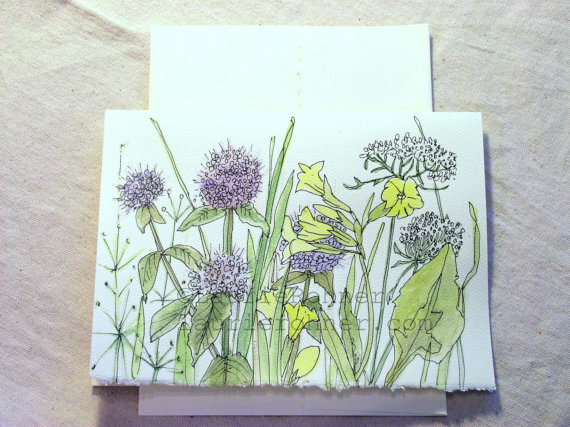 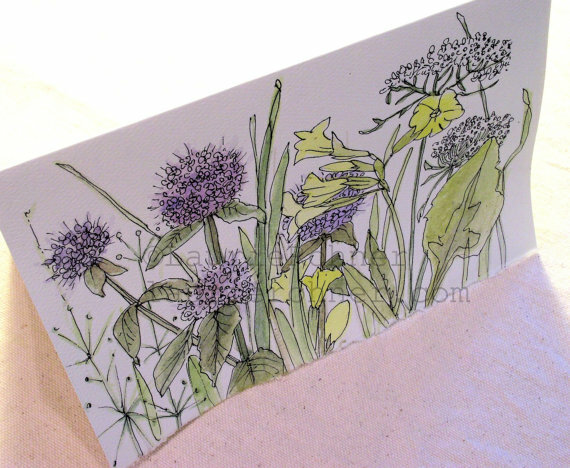 Herbs in a cottage garden is a botanical watercolor nature art blank card original,check it out. 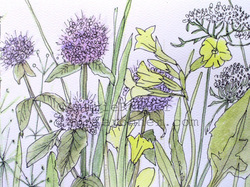 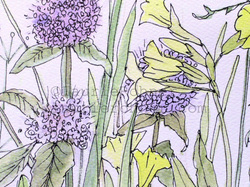 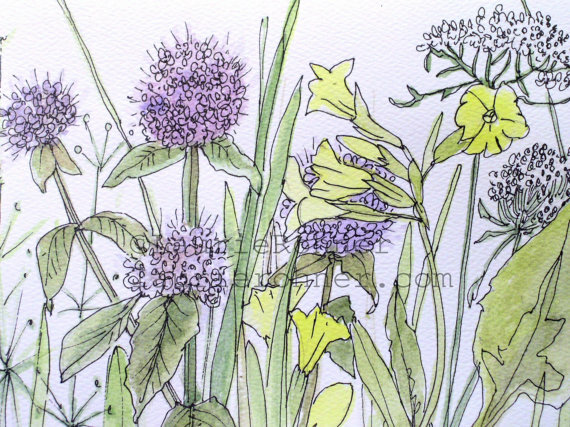 Find peppermint and primrose in shades of lavender and soft yellow among the blades of grass. 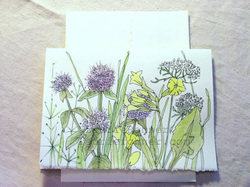 This nature art card is blank inside ready for your notes. 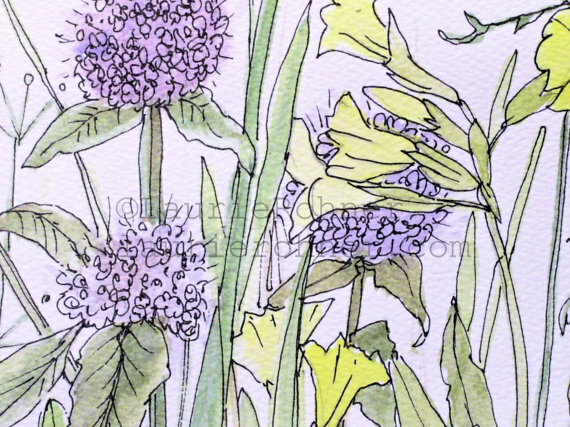 Hobein and Windsor and Newton Artist Quality Watercolors are renowned for their superior color permanence, balance and amazing color range.